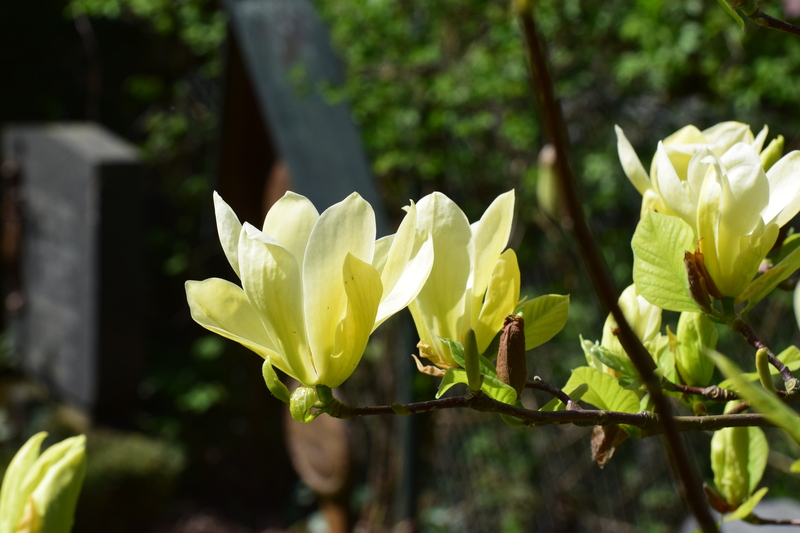 Green, peaceful and quiet, more like a park than a burial ground, the old graveyard in Offenburg is a beautiful place to spend time in, it gives you space to think and there is a lot to see and think about on the old Waldbach-Friedhof. Graves and plants are well kept, everything is in good order, it feels rather German with the various sections allotted to certain groups. 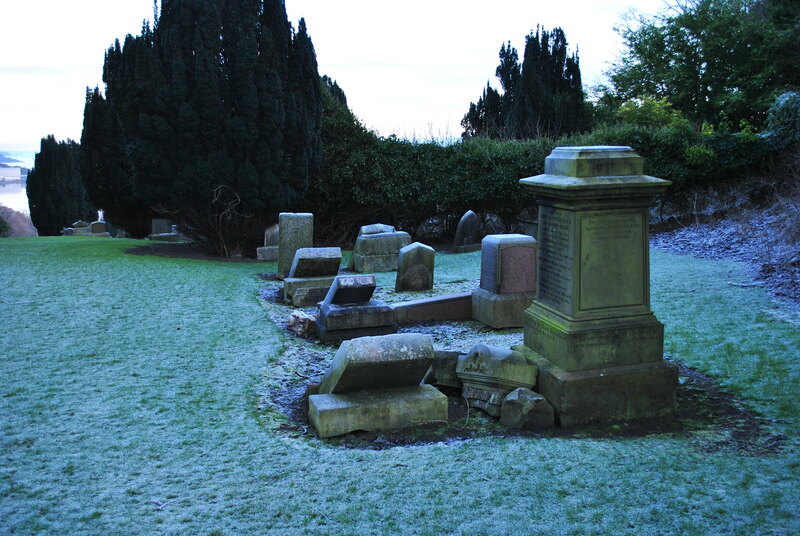 The dead have been interred here since 1870. 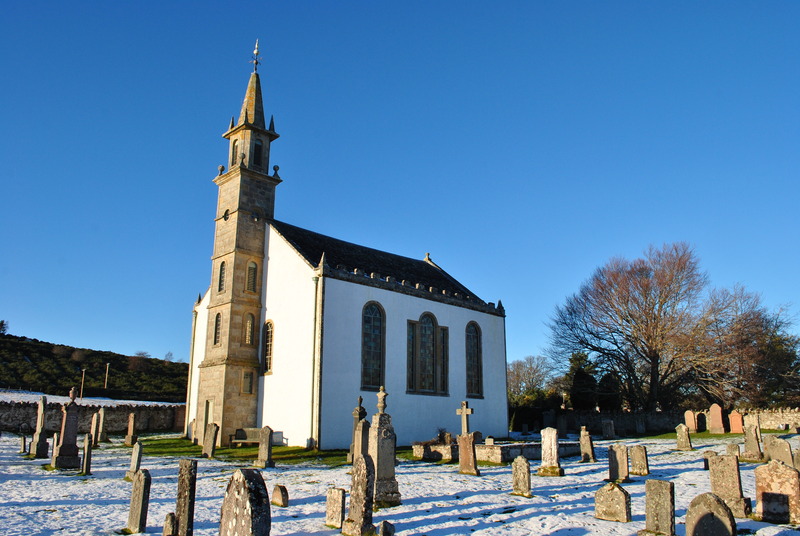 Nuns are buried on the Northern end of the spacious graveyard. The “Orden der Augustiner Chorfrauen” (Congregatio Beatae Mariae Virginis) was mainly concerned with the education of girls and originates in the nearby Vosges Mountains (France) in the 16th century. 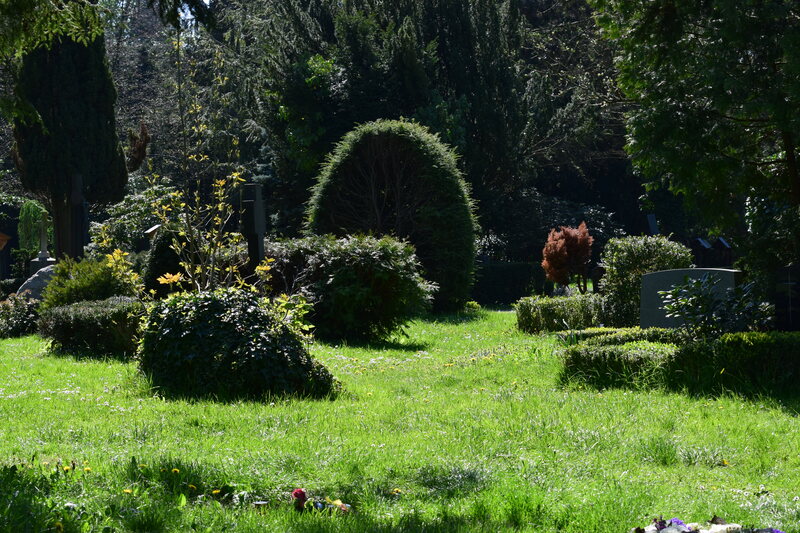 Another section has been allotted to the members of the Jewish community from Offenburg and the surrounding area (Durbach), some graves are very old and have been restored 2008, even though restoration is not typical within the Jewish tradition who tends to let the stones disintegrate. 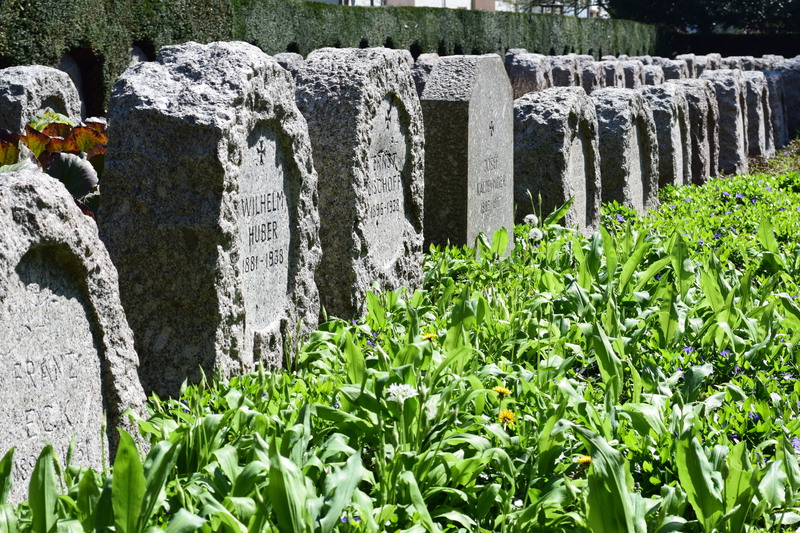 The aim was to make it possible for the German public to read the inscriptions in Hebrew and Latin, to give names to the graves, better to remember. Offenburg is still home to a number of Jewish families. A memorial nearby commemorates those murdered during the Holocaust. Just a stone’s throw away there are the war graves of soldiers from France and Germany who died in World War I and II stretch along an accurate line. Each life reduced to a name and two dates: birth and death. 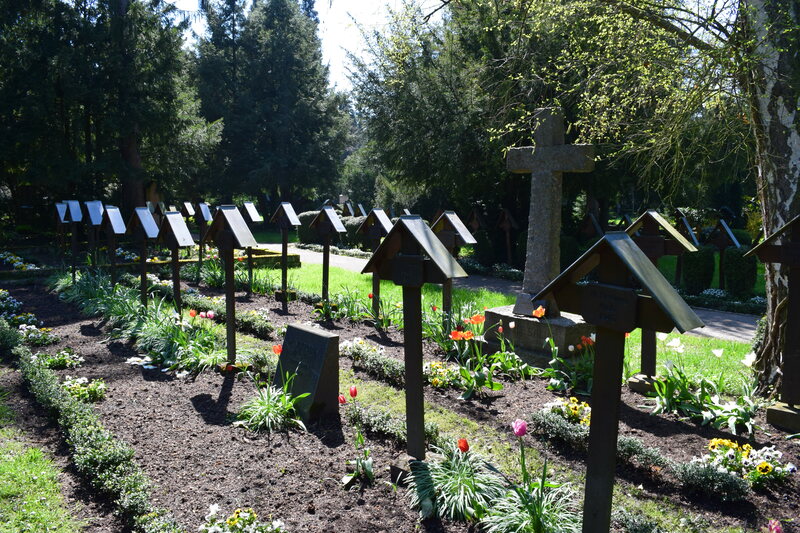 It is a very peacefull place, a strange but important achievent for a graveyard that holds not only the remains but also the memories of soldiers, persecuted Jews, nuns and sinners alike. 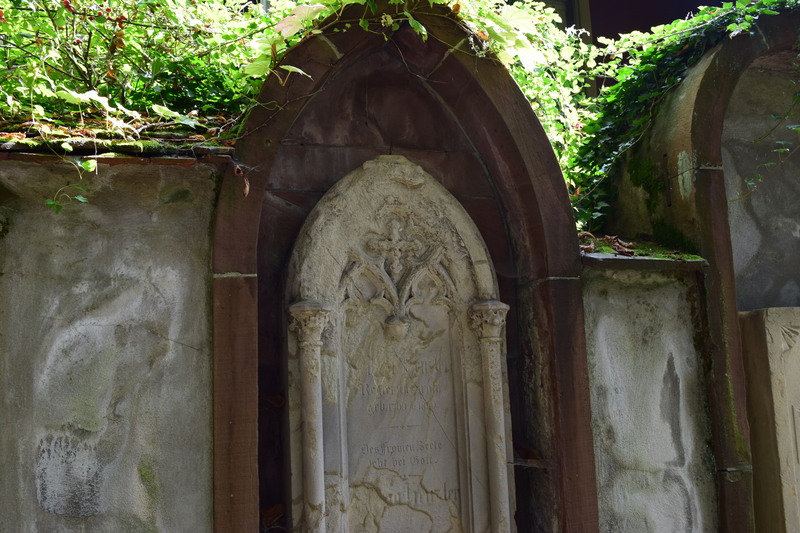 There certainly is a lot to see and think aout on the old graveyard in Offenburg. Moss creeps through the heavy tresses of her hair. 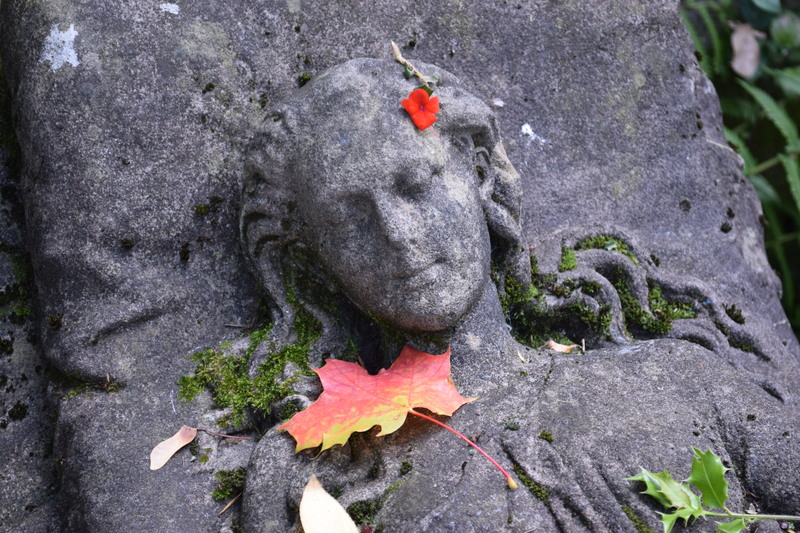 A faint smile plays on Caroline’s lips and autumn has shed intensely coloured leaves on her cold stone. Caroline Christine Walter is dead, she died of consumption 1867. A painful death, especially for a young girl, Caroline was only 16 when she passed away, a sad loss for parents and family. Caroline is gone, dead for nearly 150 years but the love for here remains alive. 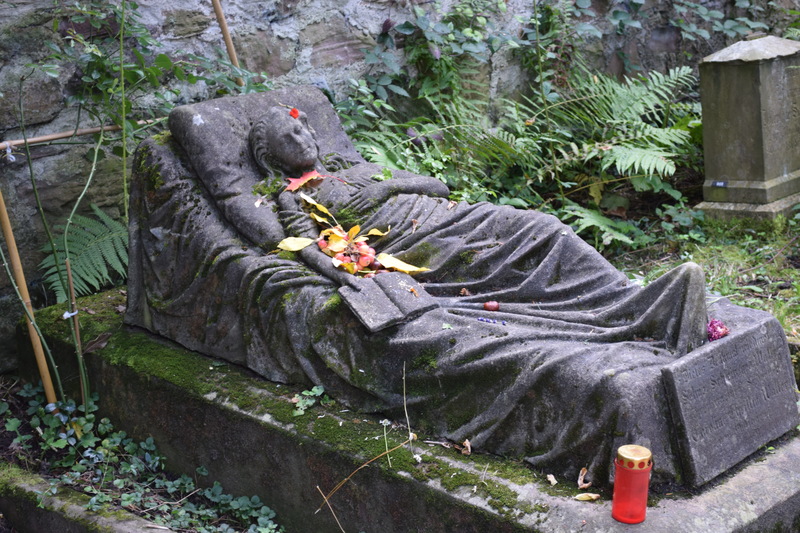 That is the secret and the mystery that is kept in the old graveyard in Freiburg im Breisgau. A place, as peaceful and beautiful as a graveyard can be. 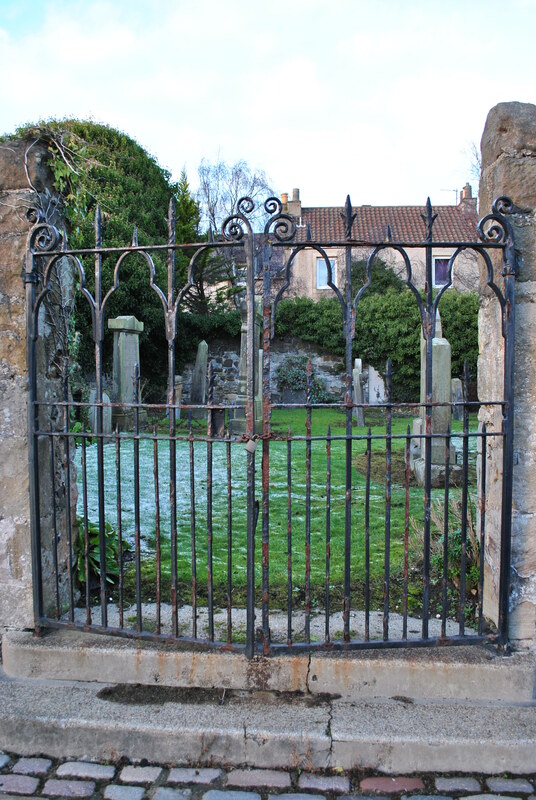 The rich and the famous have been buried here between 1683 and 1872: countesses, priests, entrepreneurs. 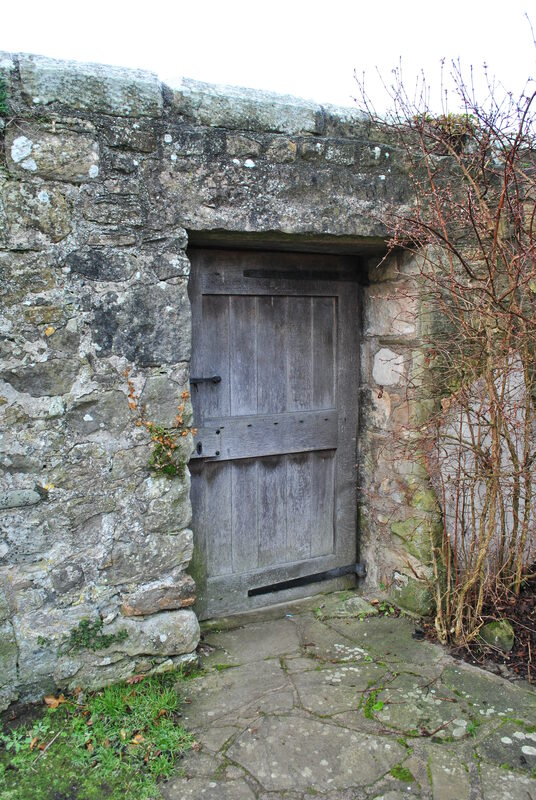 The stone masonry is eclectic and is worth a closer look. More like a park it is enclosed by four whitewashed walls that hold the ancient gravestones. Caroline Christine Walter lies on the eastern wall. A sleeping beauty. They put fresh flowers on her grave when she died in 1867. Nobody knows why nearly 150 years after her death fresh flowers keep appearing on her grave. It has never been known not to have flowers. Who brings them? Who mourns her still? Caroline’s life was all but too short. 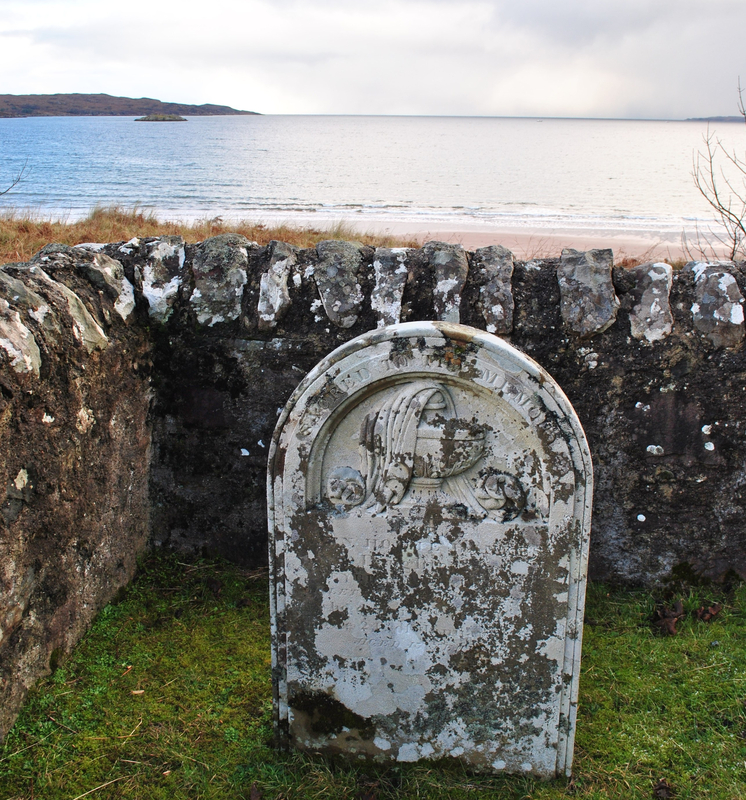 Her memory has lived for nearly 150 years.,thanks to the flowers somebody puts on her grave. Is it a ghost, a family legacy or the magic of undying love? What do you think?? ?